We are a Small, Family-Owned Cleaning Company based in Burlington County, NJ, that has been serving customers for over seven years. 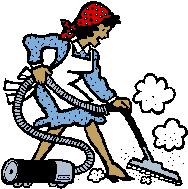 We are committed to providing “Pristine Cleaning At An Affordable Cost”. Our superb quality is backed by service that is friendly, prompt, professional and efficient. Our professionally trained staff is dedicated to making your experience as flawless as possible, and is always prepared to go the extra mile. As a family-owned company, we truly value getting to know our customers. Inviting someone into your home regularly takes a great amount of trust, and is something we do not take lightly. Your comfort is one of our highest priorities, and we look forward to helping you.